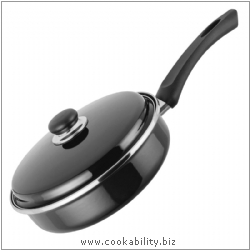 Induction saute pan and lid. Tough enamel finish and DuPont Teflon coating. Suitable for use on all hobs.